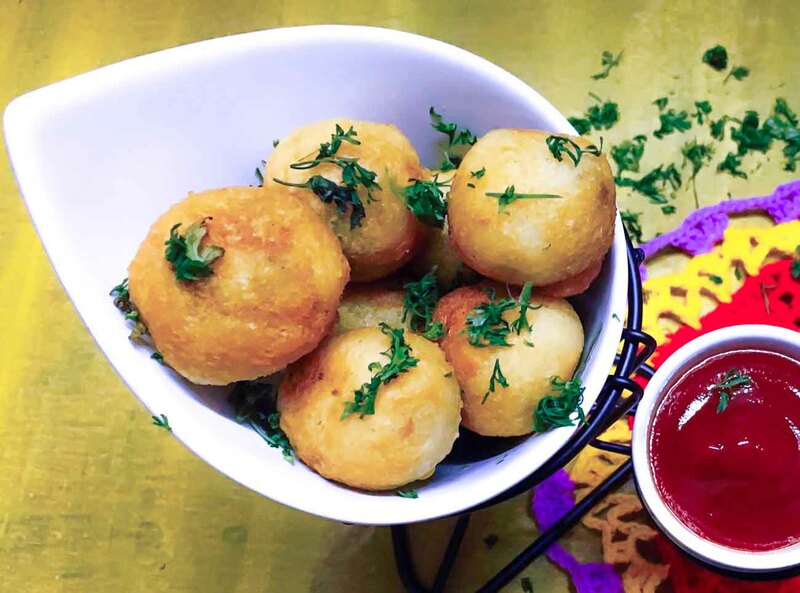 Bread Batata Vada Recipe is the Crispy Bread Bonda Stuffed With Spicy Aloo. Instead of using the gram flour batter, bread slices are used to secure the stuffing within. These can also be made with leftover bread and makes a yummy evening snack. Serve Crispy Bread Bonda Stuffed With Spicy Aloo (Bread Batata Vada Recipe) along with Dhaniya Pudina Chutney and Date And Tamarind Chutney or Roasted Tomato Sauce.